I was asked to design 10 levels of this Bird Game using the ImpactJS map creator Weltmeister. The aim of the game is to tap the screen or click the mouse to make the bird jump and avoid falling into the water and colliding with enemies to reach the end as quickly as possible collecting as many stars as you can. 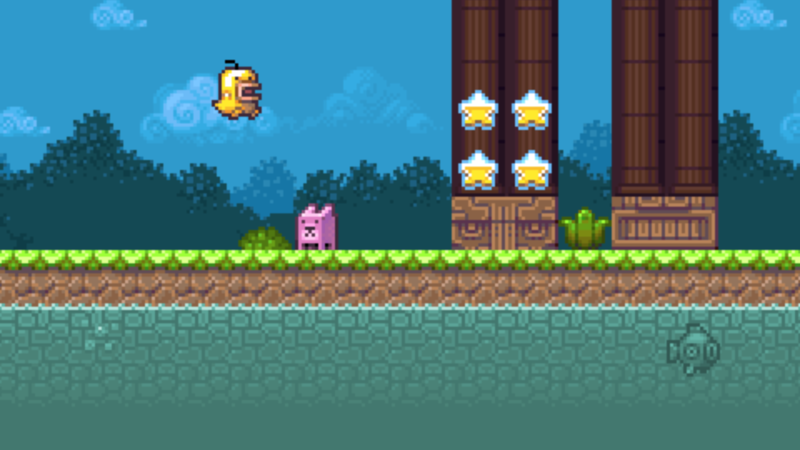 Each level gradually gets harder with more enemies being added such as cats, boulders, birds etc. I created each level using Weltmeister and designed the maps so they were about 5000px across with 250px height. I first designed the map using the tiles provided and then inserting the collision blocks where necessary. I then positioned each of the entities (characters and enemies). I was given the working game so I was able test out the game as I built the levels. The game works in both a normal browser and on mobile phones.